Safety-critical systems, like Unmanned Aerial Systems (UAS) that must operate totally autonomously, e.g., to support ground-based emergency services, must also provide assurance they will not endanger human life or property in the air or on the ground. Previously, a theoretical construction for paired synchronous and asynchronous runtime observers with Bayesian reasoning was introduced that demonstrated the ability to handle runtime assurance within the strict operational constraints to which the system must adhere. 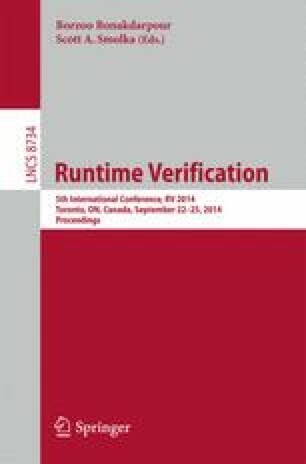 In this paper, we show how to instantiate and implement temporal logic runtime observers and Bayesian network diagnostic reasoners that use the observers’ outputs, on-board a field-standard Field Programmable Gate Array (FPGA) in a way that satisfies the strict flight operational standards of Realizability, Responsiveness, and Unobtrusiveness. With this type of compositionally constructed diagnostics framework we can develop compact, hierarchical, and highly expressive health management models for efficient, on-board fault detection and system monitoring. We describe an instantiation of our System Health Management (SHM) framework, rt-R2U2, on standard FPGA hardware, which is suitable to be deployed on-board a UAS. We run our system with a full set of real flight data from NASA’s Swift UAS, and highlight a case where our runtime SHM framework would have been able to detect and diagnose a fault from subtle evidence that initially eluded traditional real-time diagnosis procedures. Additional artifacts to enable reproducibility are available at http://research.kristinrozier.com/ RV14.html. This work was supported in part by ARMD 2014 Seedling Phase I and Universities Space Research Association under NASA Cooperative Agreement, International Research Initiative for Innovation in Aerospace Methods and Technologies (I3AMT), NNX12AK33A.